Filmed and produced by Gail Osherenko. 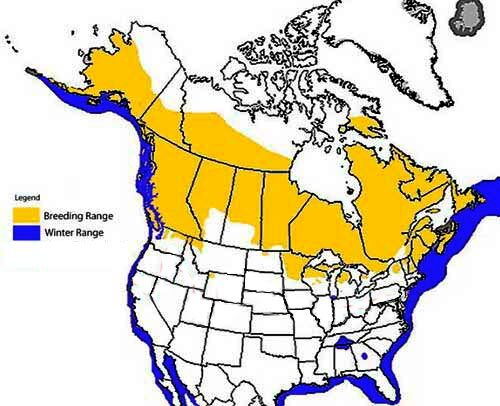 Where and how do loons survive in winter? Learn from the experts who study them. 42 min. 37 sec. Available on DVD-R, 4:3 ratio. Dark Side of the Loon now available on Amazon Instant Video. The eerie calls and striking black and white plumage of the common loon captivate those of us who spend time on northern lakes and ponds between April and October. Then the loons disappear. Quiet descends. Where do they go? How do they survive in winter? Common loons change their brilliant breeding plumage for dull feathers that provide better camouflage in winter, but make them less obvious in the marine environment. They seldom call, so it's easy to miss them even in the bays and harbors we frequent. Exploring The Dark Side of the Loon, you visit two "loon pools" (protected winter gathering grounds). On the east coast at North Carolina's Cape Lookout National Seashore, conservation biologist and ornithological expert Dr. Paul Spitzer, is our guide. On the west coast in Morro Bay, California, biologist and aviculturist Darwin Long conducts the only long-term and detailed study of wintering common loons. He has been banding and studying loons amidst the remaining fishing fleet as well as the kayaks and yachts of what is now a busy tourist mecca. In Massachusetts, wildlife veterinarian Dr. Mark Pokras, with his students and colleagues, has necropsied dead loons for 20 years to understand the causes of their mortality, both natural and human caused. You'll learn how scientists in the field and laboratory unlock the mysteries of a bird that has survived for 60 million years. And you'll discover how loons are helping scientists to understand the perils loons face in winter, and how humans can help ensure their survival - and ours. Music by David Budbill on shakuhachi. David writes poems, plays, and novels. His "emailite" and work emanates from the Northeast Kingdom of Vermont. Visit his website to find out where he is reading and performing. The Dark Side of the Loon is filmed, narrated, produced and edited by Gail Osherenko. Shannon Dybvig, assistant editor and webmaster. Still photos of loons in Vermont are by photographer Orah Moore of Haymaker Press. Contact David Lamon, Executive Director for more information. Discussion with Vermont loon biologist, Eric Hanson, follows the film. Sept 17 - Oquossoc, Maine - Rangeley Guides and Fishermens' Assoc. 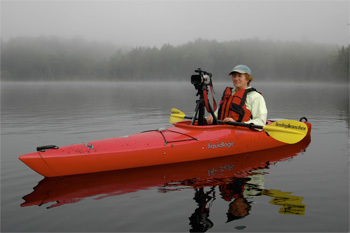 Gail Osherenko filmed, produced, and narrated The Dark Side of the Loon in 2007-2008. She lives in Santa Barbara, California and watches loons in Vermont in the summer. Film making combines her passion for film and photography with her background in environmental law and science. Her first film Arctic Expedition premiered at the SBIFF in 2007. She teaches coastal and ocean law and policy at the University of California's Bren School of Environmental Science and Management and is a Project Scientist with UCSB's Marine Science Institute. She holds a law degree from UC Davis, and worked as an environmental lawyer before moving to Vermont in 1981 and becoming immersed in Arctic studies. She studied and taught Arctic natural resources issues at the Center for Northern Studies in Vermont and at Dartmouth College in New Hampshire before relocating to Santa Barbara in 2003. His article "Common loon mortality in marine habitats" is available online.